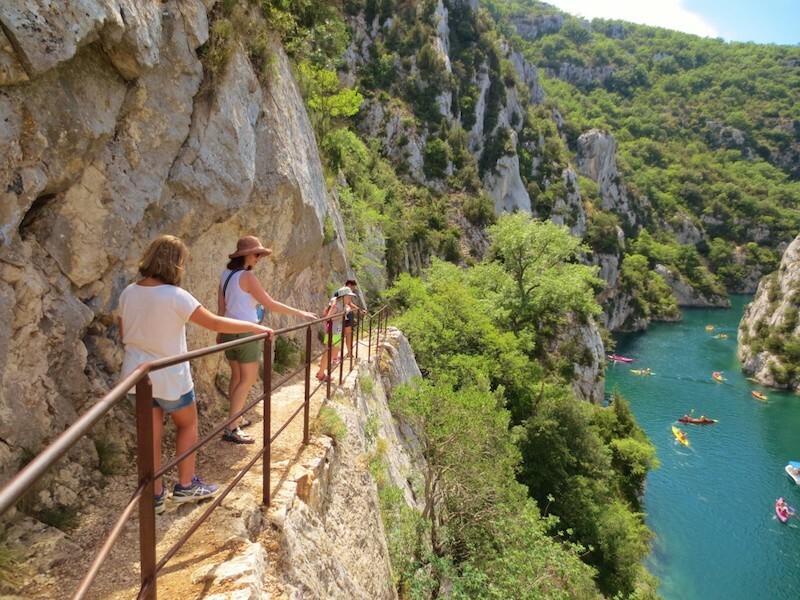 Paradise climbers or hikers, the Gorges du Verdon is a major tourist destination. Located in the Verdon Regional Nature Park, straddling the Var and the Alpes de Haute Provence in the Occitanie region, it separates the lavender plateau north of the Mediterranean coast to the south. It must have been done at least once in his life. Tonic or contemplative holidays, with family or friends, the landscapes of the Throats will charm you forever. Here is some information to whet your appetite before booking your holiday at the campsite Aux Vallons on the side of Lake Sainte Croix. The Verdon is small tumultuous river, takes its source at the foot of the head of the Sestrière, near the pass of Allos, in the massif of the Trois Eveches. He dug a spectacular furrow separating the pre-Alps up to Castellane and the prairies of Digne, which roughly separates the Alpes de Hautes Provence from the department of Var. This narrow and deep fault is divided into three parts: the pre-gorges that go from Castellane to Pont de Soleils, the middle part of Pont-Soleil at the place called l’imbut on the town of La Palud-sur-Verdon and finally the canyon that goes to the Pont of galetas in Moustiers-Saintes Marie. 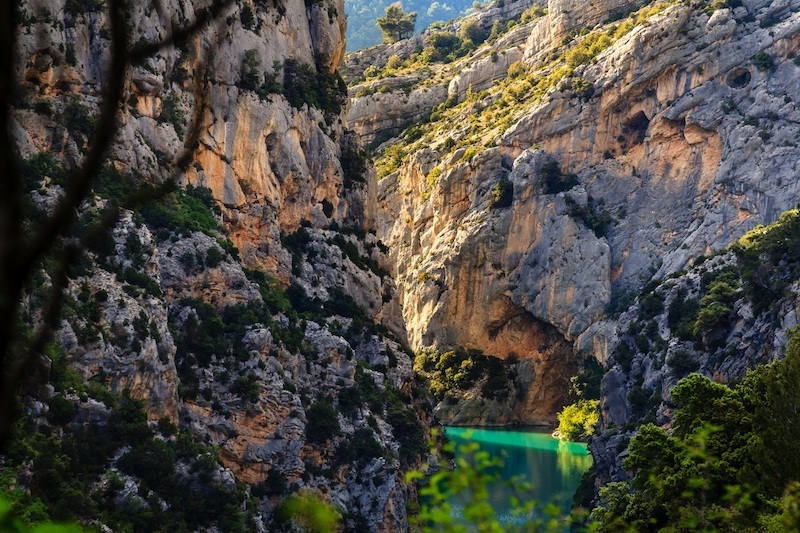 Although the gorges were inhabited by the Gallic tribe of verguni, it is only very late that the gorges of the Verdon attract the visitors. They were mapped by the Cassini brothers in 1770 but only accessible by mule tracks, they remained for a long time very little frequented. It was thanks to the appearance and distribution of tourist guides and hikes that they began to interest the public, who were in love with romance. After Martel who opened the voice in 1905 under the aegis of the Ministry of Agriculture, the first reckless borrowed the canyon. In 1906, the Touring club de France, built a path that allows you to go down into the gorge. This is the beginning of a promotional campaign that will develop from year to year to introduce the public to this treasure of nature and become in a few decades the major destination of the region. 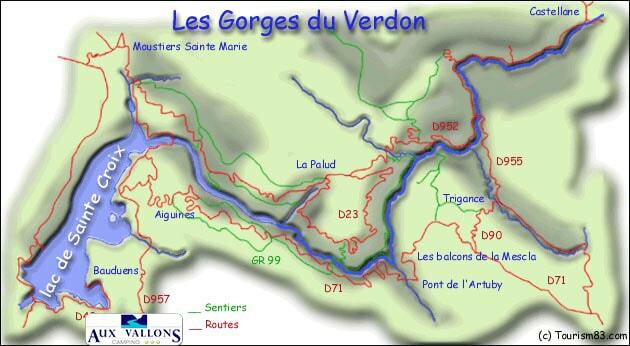 “Here, it’s more than far away, it’s elsewhere” said Jean Giono french writer speaking of the gorges du Verdon. 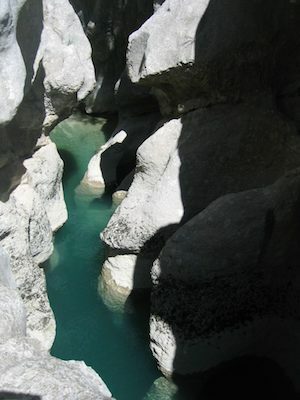 The canyon, 50 km long and reaching in places 700 meters deep, bordered by imposing white cliffs offers unique landscapes. Dizzying slopes where clinging shrubs and plants, pierced by deep cavities, balms … All forming an enchanting picture of gray, white and green on the turquoise blue water of the Verdon. Europe’s highest canyon, it really begins after the Tusset Bridge offering exhilarating hikes like the Martel Trail or the Imbut. Portions of these trails are still very difficult and should only be used by trained athletes with the appropriate equipment. For a more peaceful discovery of the gorges and the Grand Canyon, you can take the Corniche Sublime, road winding along the cliffs. 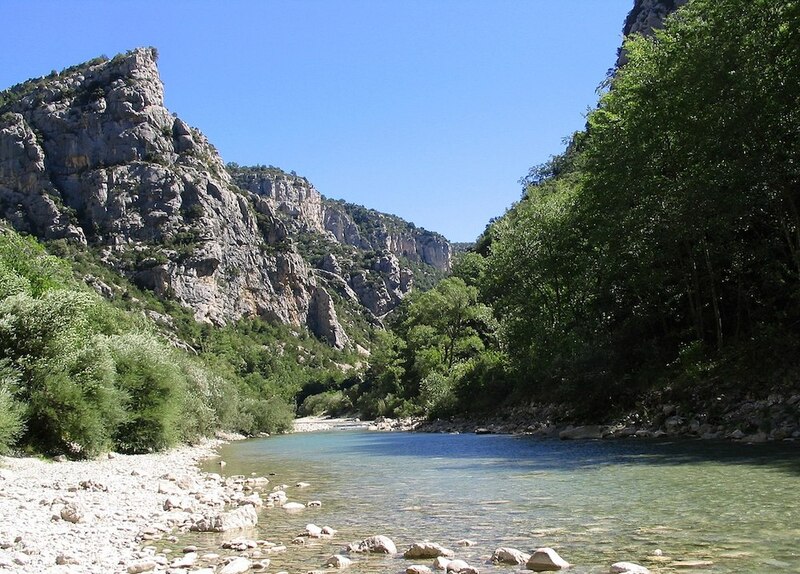 And to better appreciate the majesty of the gorges du Verdon, you can at leisure choose to go down the river by canoe, rafting and all that water sports offer as a solution for the descent, or even the rental of electric boats, at Pont du Galetas, in the municipality of Aiguines. the imbut, a passage where a chaotic pile of rocks sees the river disappear. The starting path to see this exceptional place is located on the cliff riders RD 71 in the town of Aiguines. The riders’ inn is a good place to find the trail. sailing school, windsurfers, paddle boats, canoes, boat trips await you. Visits to picturesque villages, Les Salles sur Verdon, Aiguines, Moustiers Stainte-Marie, Sainte Croix du Verdon, … but our favorite is Bauduen, the best village to visit! The village is located on a remarkable site typically Provencal is arching in front of the lake of Sainte Croix. Its old stone houses and narrow streets will charm your walk as well as many excursions possible in the surroundings. Around the lake of Sainte Croix, you can practice swimming on various wild sites or supervised beaches in July and August.